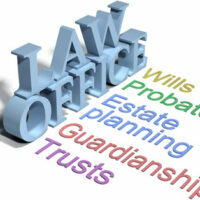 In Florida, probate is the process by which a will is validated and then executed. If you believe your loved one’s will was fake, created under duress, created when your loved one was incompetent, or invalid for some other reasons, then you will need to contest their will during this time. Contesting a will can be messy business, which is why it is important to speak with an experienced probate attorney before moving forward. You should know about your rights, the process, and the potential outcomes before heading to court. Undue influence: If you believe that another person exerted an extreme amount of control or influence over your loved one and their writing of the will, this is a valid reason to question the will in court. Individuals, particularly the elderly, may be subject to undue influence by family, care workers, attorneys, and other people that overrides their own free will. A will that has been created or altered based on someone else’s inappropriate influence is not valid. Mental incapacity: An individual must be mentally fit to write a will. If your loved one was mentally incapacitated at the time they wrote or changed their will, it may be void. People may become incompetent to write or alter a will if they suffer from advanced stages of dementia or other medical conditions that affect their memory and cognitive functioning such as Alzheimer’s or psychosis. To prove incapacitation, you can use medical records, legal records, and witness statements. Insane delusion: This reason is similar to mental capacity. If you have evidence that the testator believed something was true, despite all reasonable evidence to the contrary, and wrote or changed their will based on this delusion, you can show the will is void. The issue that the testator believed was true must have been obviously false to be an insane delusion, such as if the testator believed all her children had died and left her estate to a neighbor, despite her children having regular contact with her. Fraud: It is possible that your loved one was fraudulently encouraged to sign a will they did not agree with, given false information that caused them to change their will, or was tricked into signing a document they did not realize was a will. If you have evidence of fraud, speak with an attorney immediately, since the will may be invalid. Improper execution: For a law to be valid under Florida law, it must meet certain criteria, including that the testator is at least 18 years old, is mentally competent, signs the will, and has two witnesses who also sign the will. If you can show that the will does not meet each of these steps, then you can prove to the court it should not be executed. If you believe your loved one’s will is not accurate because of one of the reasons stated above, then call the Law Offices of Larry E. Bray, P.A. at 561-571-8970. We are eager to help you today.